On this day, 182 years ago, Texas formally declared her independence from Mexico, creating the Republic of Texas. Though not an "official" government holiday, the State of Texas does recognize it, as well as most Texans, either by the re-reading of the Declaration or a general observance. For the birthday of Texas, I thought I'd share with you some interesting facts related to her involvement in World War Two. Did you know that, of the 16 million American men and women to serve in WWII, over 750,000 of them were from Texas?? Texans enlisted or were drafted in excess of the percentage of the nation’s population. Although the state had 5 percent of the United States population, it provided 7 percent of those who served in the armed forces. James Earl Rudder, well known as the beloved commander to lead "The Boys of Point Du Hoc" during the D-Day Invasion was a Texan by birth, born in Eden, Texas, a hop-skip away from San Angelo. 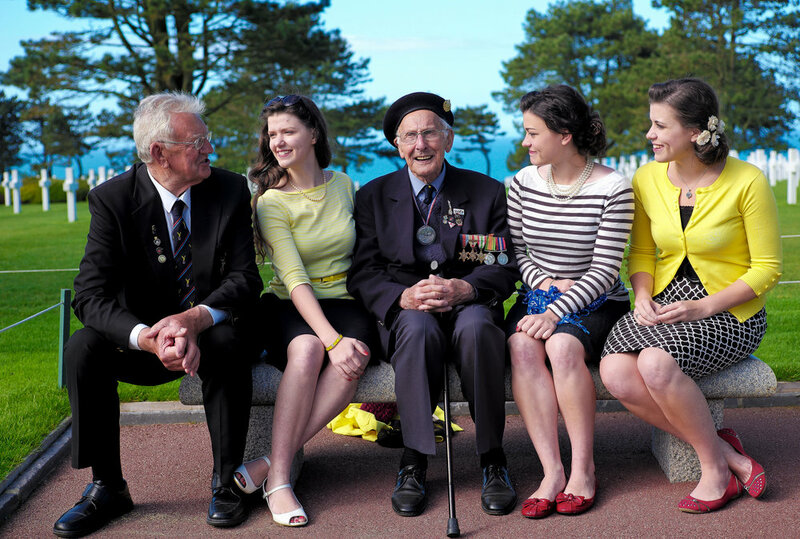 His story is an exceptional one, leading his men gallantly from D-Day on, all through Europe and into Germany. After the war, Rudder returned home to a full career including becoming President of Texas A&M University in 1965. Dwight D. Eisenhower, Commander of the Allied Expeditionary Force (SCAEF) in the European theatre during WWII and later President of the United States, was born in the small town of Denison, Texas. Ike's "D-Day speech," given out on leaflets and read to the troops on the eve of June 6, 1944, is probably one of the most famous speeches of WW2. It started out, "Soldiers, Sailors, and Airmen of the Allied Expeditionary Force: You are about to embark upon the Great Crusade, toward which we have striven these many months. The eyes of the world are upon you. The hopes and prayers of liberty-loving people everywhere march with you." Audie Murphy, the most decorated soldier of World War Two American history, had a humble beginning picking cotton in the cotton fields of North-East Texas. When Pearl Harbor was bombed, he enlisted, lying about his age to get in. Fighting through Italy, Southern France, Belgium, and Germany, he became one of the brightest Stars in Texas' military history, coming home with many decorations including the Medal of Honor - America's highest military award for valor. After the war, he became quite popular in the movies, including starring in his own biographical piece, "To Hell and Back." Lastly, for Texas Independence Day we wanted to share a short story with you which, though it is about a Yankee from Massachusetts, all Texans are sure to understand and relate to. It is an excerpt from the book, "Prisoner of War," by Clyde Fillmore, a WWII Veteran and member of the "Lost Battalion." • • • • • • You remember that when we left Singapore in January of 1943, we were forced to leave nine men who were too sick to travel. Well, of these nine, eight were from Texas; the other one hailed from Massachusetts. It isn't difficult to imagine this one fellow's plight nor imagine his misery as he was forced to listen to eight loyal Texans day after day. In 1944, a B-29 was shot down over Singapore, and three of the survivors eventually found themselves with the nine Americans. The prisoner from Massachusetts was elated and approached them almost with prayerful expectancy. Alas! They were all from Texas. When the war ended another B-29 came in to take them to Calcutta for hospitalization, where we met them once more. However, the prisoner from Massachusetts had not given up hope, so when the big plane landed, he rushed up to the pilot, a young first lieutenant, and asked him where he came from. In an unmistakable drawl, he answered, "I'm from Texas." Hope had, by this time, almost died, but being a rather stubborn individual, he did not give up so easily. After about an hour in the air he noticed that the navigator was a full blood Chinaman. He sidled up to him and asked in a faltering voice, "And how long have you been away from China?" Came the answer, "Why, I'm not from China; I was born in San Antonio, Texas.